DJ K.U.D.O. 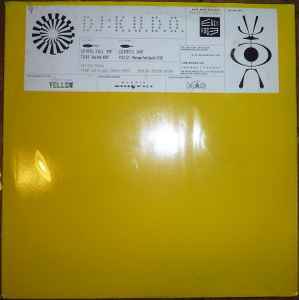 * ‎– DJ K.U.D.O. Absolutely beautiful entrancing tracks. It took me years to find both the CD and the vinyl but if you like hypnotic early trance mixed with techno and goa vibes, this one's for you. Currently fetches around 100$/Eur but it's worth your time, I spent a lot on music but this one is precious. Thanks to KUDO for forming a school of Japanese goa with this early seminal release. Oh the vinyl looks crazy as it's yellow and red and has spirals plus a strange thing happens when the side finishes, the record goes on a loop in the last groove and will actually never stop playing making it a top class release. My extra copy, pictured on discogs is now in the hands of a friendly French collector, and am very happy one more in Europe will listen to it. Comes in standard white sleeves or Japanese transparent inner sleeves.